A licensed Stock and Station Agency, Rural Property Centre based at Elong Elong offers both buyers and sellers many years of experience in the rural property industry with the ability to deliver exceptional results in the rural & residential property sector. Originally Denise sold properties on the Central Coast including Chicken farms, Commercial Fruit Orchards, Flower farms and rural lifestyle properties. 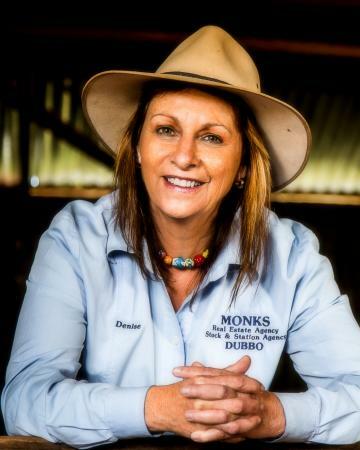 Established in the Central West for over 20 years Denise has sold a multitude of farming enterprises, residential homes and some commercial properties. “I love my work and the Central West landscape and work hard for the client's that entrust me with their property that they wish to sell as well the folk I meet that are wishing to purchase ‘their dream property’ or advance their rural holding to a higher scale”. I consider this an amazing privilege. Please do not hesitate to contact me regarding your real estate matters. Eura Forest Road, Balladoran. 314 Ha (775.91 acres); 19 kms to Gilgandra; 56 kms to Dubbo; New boundary fencing & materials included to complete internal fences; Building entitlement and power on the property; Equipped Bore, 2 dams, water tank's & large shed; Hard to find this amount of land so close to town. Build your dream country manor and enjoy the fabulous rural lifestyle! $60,000 - Huge Block! Great Location! Cleveland Street, Ballimore. Lot 3,4 & 5 DP 758056, 6070m2 privately located in a quiet area at the back of the village surrounded by other neat and tidy homes. Take a minute to stroll over this land which flanks the Talbragar River and appreciate the peaceful location, only short walk to Primary School and playground. Perfect location to build a home that would enjoy beautiful bush and river views. Don’t miss out on this perfect place for any lifestyle !! A Magnificent Property - Picturesque - Productive - Perfect. “Lowan” is picture perfect. Previously held in the Mulligan Family for over 50 years, Jim Mulligan said "just occasionally you find a diamond in the dust and I did" !! We have one recommendation, organise an inspection, you will not be disappointed. 127.9 Ha (316 Acres) Located some 50 kms East of Dubbo, privately set back off State Highway, handy to Dunedoo and 5 hours from Sydney. This has nature bursting at the seam's with natural flora and fauna. Approximately 5 Acres semi timbered. Small cabin gives you basic camping options. 2 Ridges over property with walking tracks and some 50 Acres to the back of property was cleared and has regrowth. Fencing in good to fair order. YOU WILL BE CHEERING !! The Drover's Dog Hotel- Freehold- Eumungerie. Great opportunity for the Handyman/Publican ! This property is packed with opportunity. Simple one bar operation, bistro and takeaway; Large Beer garden at the rear; Commercial kitchen offering takeaway and dine in meals 7 days; Pool room and lounge area; 12' pressed metal ceilings, 7 bedrooms, office, 2 bathrooms and lounge room; Solar power system; Trading hours 11am to 10pm daily. Walk In- Walk out including stock. AUCTION "BANDO'S HILL" - Great Acres -MUST BE SOLD 141 Manusu Drive, Mendooran. 14.57 Ha (36 Acres) A very appealing property with Valley views on the outskirts of Mendooran. An unfinished project - but has the house potential ? Come and inspect and you decide! 2 x 40ft shipping containers included in the sale. The property is fenced on 2 boundaries (wire will complete all), rolling country to a valley and bounded by a creek, power and town water at front boundary. Food, Beverage & Hospitality Business For Sale in Mendooran. Freehold and Business - Price on Application. Mendooran General Store. Mendooran General Store ideally located in the centre of township on Castlereagh Highway with high traffic flow passing the front door 24/7 from coast to country towns. Freehold property consisting of fuel sales apron, general store/takeaway food area, newsagency, storage area, produce sales, and 4bedroom residence with room for the whole family. Build your Log Cabin here ! Bring the Kids & Ponies! Great Investment Here.....Set on 1.02 HA (2.52Acres) 3 bedroom weatherboard home boasting lounge/dining room, living room with split system air conditioning, sun room, wood heater in formal dining room, kitchen with large pantry. Shed with 2 stables and tack room, roundyard and easy care garden. Equipped Bore and Town water. 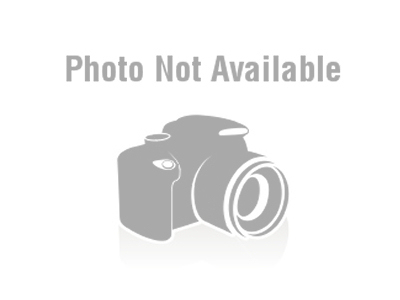 Walking distance to school, shop's and post office. Some TLC will see this property shine !!!! Rent value around $250.00 per week. Call now to organise an inspection! Definitely a weekend escape property for Dad and the boys!.....WAIT, BREAKING NEWS !! Double your choices !!!! BUILDING ENTITLEMENT CONFIRMED 12/2/19 ! BUILD YOUR DREAM HOME ON THIS 28.18Ha/70 Acre Property with power and town water close by !! Some 30 Acres cleared for horses and good riding tracks through the scrub. Mixed native bushland with a hidden one bedroom cabin offers a retreat like no other! Open for inspections 11.00am-11.30am Saturday's prior to auction. “Woodlands” is 8.2Ha (20 Ac) 3 titles - Walk in walk out ..yes, the furniture stays in this 2 bedroom spacious home with large enclosed veranda perfect for entertaining. Fabulous open plan design living with large windows for natural light throughout the home, wood fire slow combustion stove plus electric stove, formal and informal dining areas and large family room with laundry and 2nd wc, Water is plentiful with 4 tanks, an underground water reservoir, eq. bore and town water. Location: 12kms from Mendooran, 45kms from Gilgandra, 84kms from Dubbo. Area: 1112 Acres. Crop & Grazing development: Natural Herbages. Soils: Medium Red Basalt to Red sandy loams. Timber: Some 50% cleared for farming, Balance pine. Box, Ironbark. Water: 5 dams. Arable Area: 500 Acres (app) although further regrowth clearing would give another 150 Acres for development to grazing country. Fencing: Poor on two boundaries, stockproof fencing balance with new internal fencing commenced. Deceased Estate – 136 Manusa Drive Mendooran. 8 acres with an as new 2 bedroom transportable home. 1 shared dam, town water and rain water tank at house. Have you always dreamt of a bit of land you could call your own? Somewhere to teach the kids to ride their motorbikes? Somewhere to keep the horses? Look no further! Will be sold to the highest bidder on Auction day. Inspect 11am to 11.30am Saturdays prior to Auction. Auction on site 11.00am 27th October 2018. 4 bedroom bush retreat offers some amazing hand crafted stone walls, timber floors in kitchen with gas and fuel stove cooking, short stairwell to living area with more stone walls constructed for eco comfort living, bathroom off back veranda and the most fabulous cabana with fuel stove for cooking your outdoor roast lamb plus a pizza oven like no other !!!! Vegetable gardens, chook and dog pens and a mini golf course as well ! 3 paddocks suitable for horses. Solar power only. 1st time offered since the Estate was released ! DISCLAIMER: All care has been taken in compiling this information provided to us by the Vendor. We act as their Agents only and cannot accept responsibility for errors in descriptions if any. Intending Purchasers should satisfy themselves as to the correctness of all details. 595.8Ha (1,472.Acres) Grazing/Cropping/Timber + Excellent Water....A mix of choice red & black loam soils, some 400Acres of cleared grazing & cropping country. 4 paddocks + 2 holding paddocks. Balance of some 1,000 Acres with extensive riding and driving trails with much of this area previously cleared. With some effort could make a very handy grazing paddock. Large dam (approx. 40 Megs), further 3 Dams and reliable Elec. Eq. Bore. Privately located property convenient to Dubbo. WHAT ARE YOU WAITING FOR ?!?! $475,000 ONO - 625 Acres Freehold + State Forest Grazing Lease 5006 Acres. A magic piece of Australian bush to make yours. DISCOVER an EASY & Affordable Opportunity to Purchase Your Own Private Rural Retreat & Highly sought after piece of Recreation land in the Central West Located between Mendooran and Gilgandra. 5 dams + Bore with solar power. 25 km Mendooran. Recently renovated with new paint & carpet this lovely 3 bedroom home is located in a quiet street with plenty of yard for the children to play- the property is on a 2 acre block! Featuring a neat & tidy open kitchen and bathroom, lounge, dining and sunroom. The yard features a large shed, garden shed & 5 water tanks, this property is sure to impress. Please contact Rural Property Centre on (02) 6886 6161 to arrange a time to view. - 5 bedrooms all with built-ins Walk in robe + ensuite to main bedroom; Separate lounge, dining & 3 family rooms; 2 bathrooms & 3 toilets; Reverse cycle & Evap air conditioning throughout; Large Shed; In-ground swimming pool; Fully enclosed yard with garden shed on a 1/2 acre block; Pets on application (conditions apply); $650.00 p.w.